It’s been a while since I took you behind the curtains of my life to see what I’m loving. 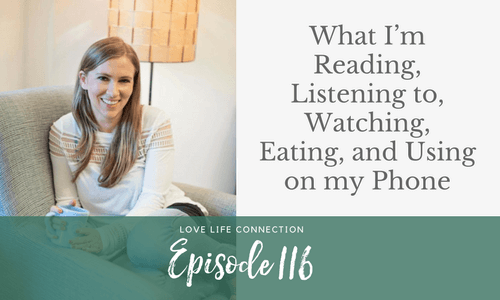 In this episode, I’m talking you through what I’m reading and listening to (hardly any self-help! ), what I’m watching (I need your opinions, please! ), what I’m eating, and my favorite apps. I hope these recommendations provide some inspiration and fun, and I think many of them will also help with your growth! I’m introducing a new segment onto the podcast!